I know for me, I get so close to sharing something and then I just scrap it because all I see are the flaws. If you’re a perfectionist, you know what I’m talking about. You often go weeks or months without sharing something. 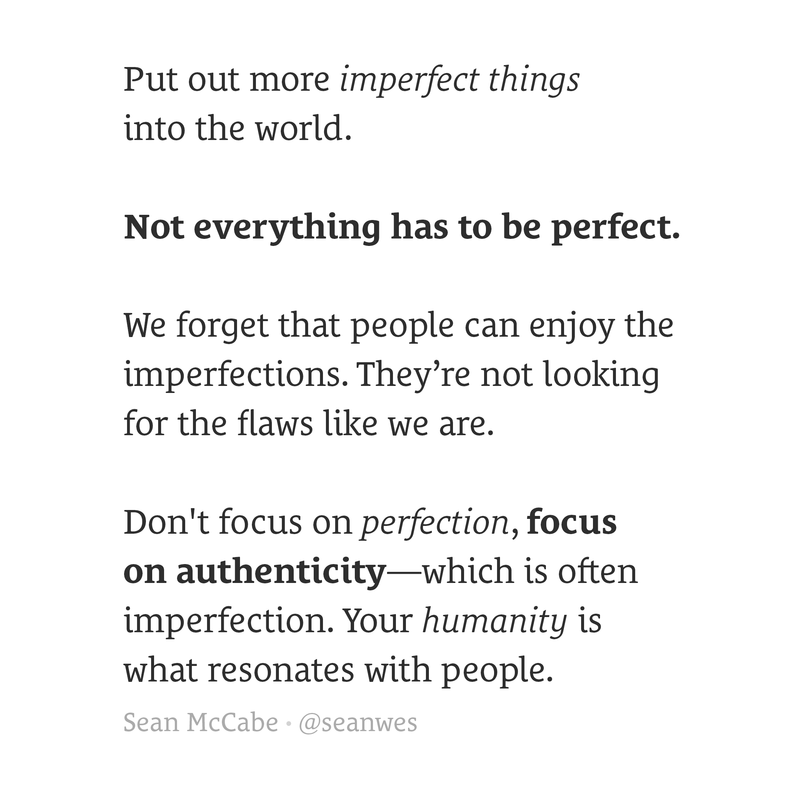 Though imperfection frustrates you, it’s what makes you human, and it’s your humanity people connect with with. Authenticity is greater than perfection. The world is a better place when you regularly share more of the imperfect work than it is when you share only the occasional result of “perfection”.